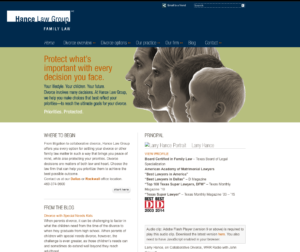 The Hance Law Group website needed a facelift. 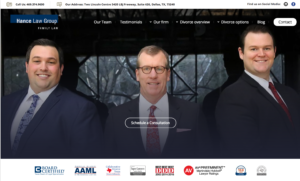 Their previous website had an outdated feel to it and needed a fresh, modern update. 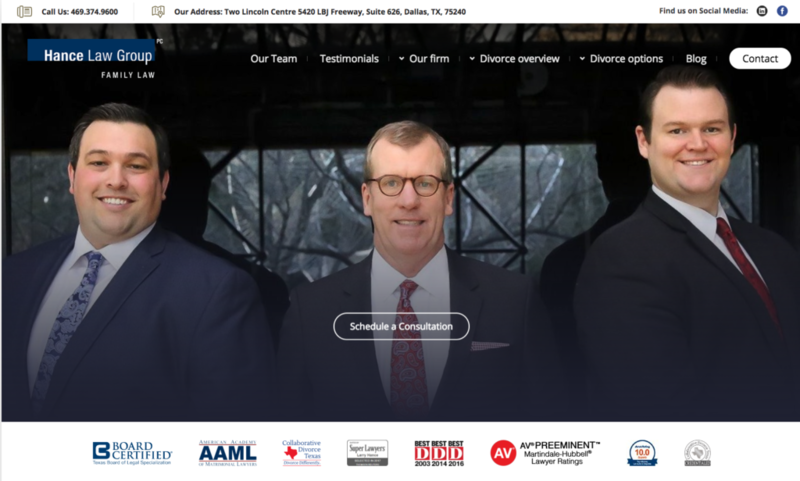 The old site made it difficult to quickly find the information needed to contact an attorney and the home page also faced a slow load time issue. We were able to build an updated, sophisticated, and fresh website using WordPress without a complete, bottom-up redesign. Our team utilized existing imagery and color schemes to maintain a consistent brand for Hance Law Group. The updated website has a clear focus built towards the client, making contact information easily accessible. The new site is user-friendly and noticeably highlights the expertise of the group.